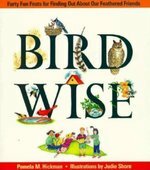 Hummingbirds and herons, pelicans and pigeons, blackbirds, Blue Jays, goldfinches, redpolls, and Yellow-bellied Sapsuckers--these birds and many more flock through the pages of Birdwise, a great kids' introduction to our feathered friends.Did you know that owls can see 100 times better than you can? That a scientist did a mating dance with his whooping crane so that she could lay her eggs? And that you can have fun spotting and looking after the birds in your own neighborhood? 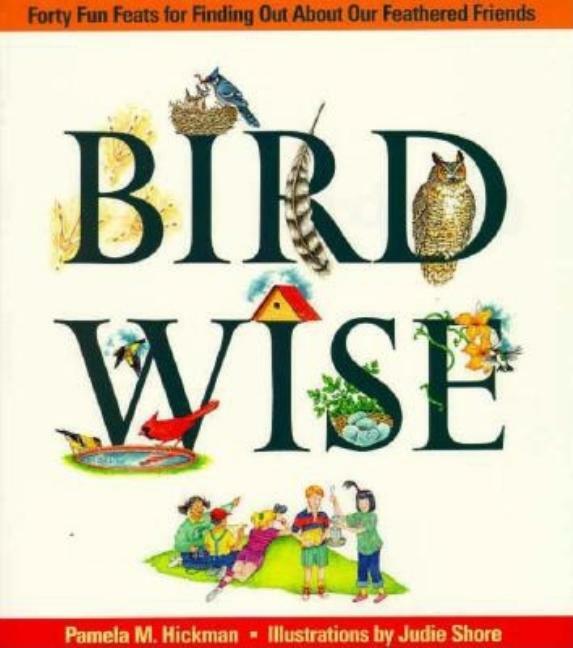 This book presents hundreds of fascinating facts and amazing activities that will make you birdwise.Watch birds at home in their nests or in one of the four birdhouses you can build yourself. Observe what different birds eat, and feed them yourself with six special feeders and your own gourmet birdfood. You can even help your feathered friends take baths the way they like: in water and in dust! Starting a feather collection, learning bird songs, birdproofing your windows with a cutout of a hawk, and many more fun projects will keep you wise as an owl.